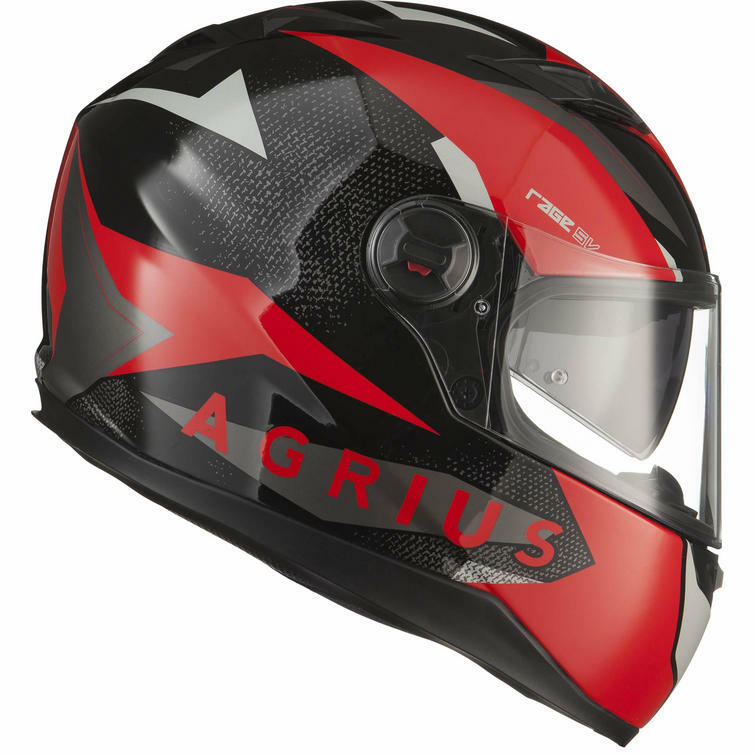 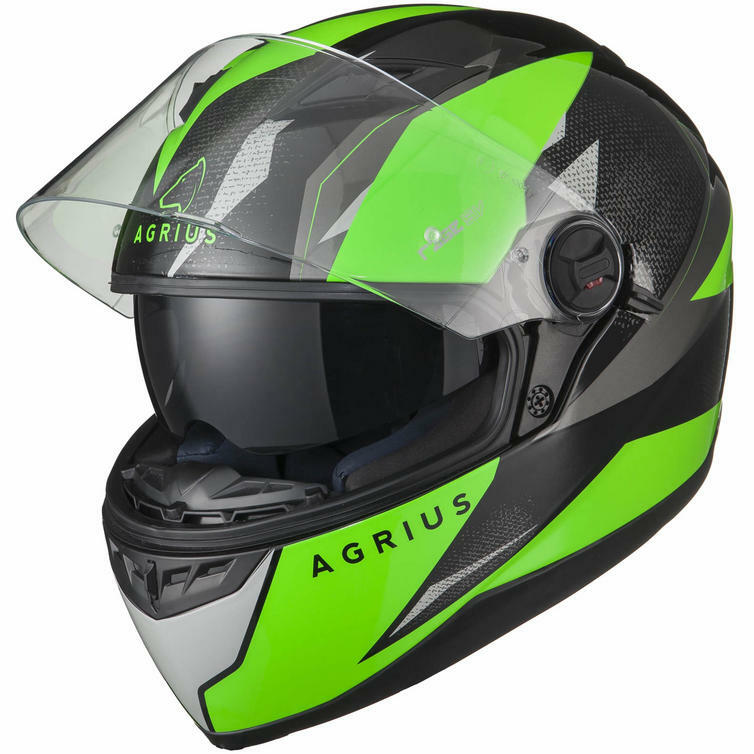 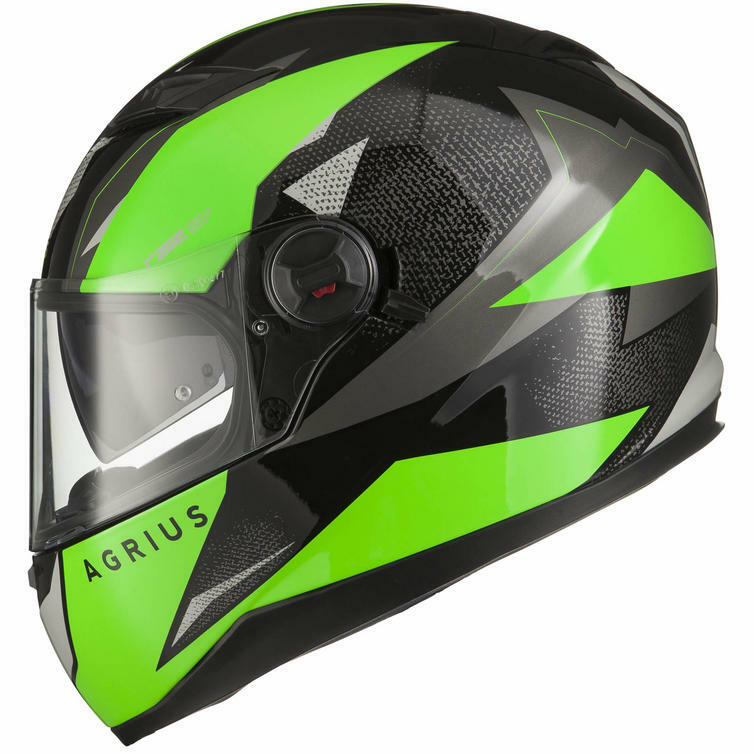 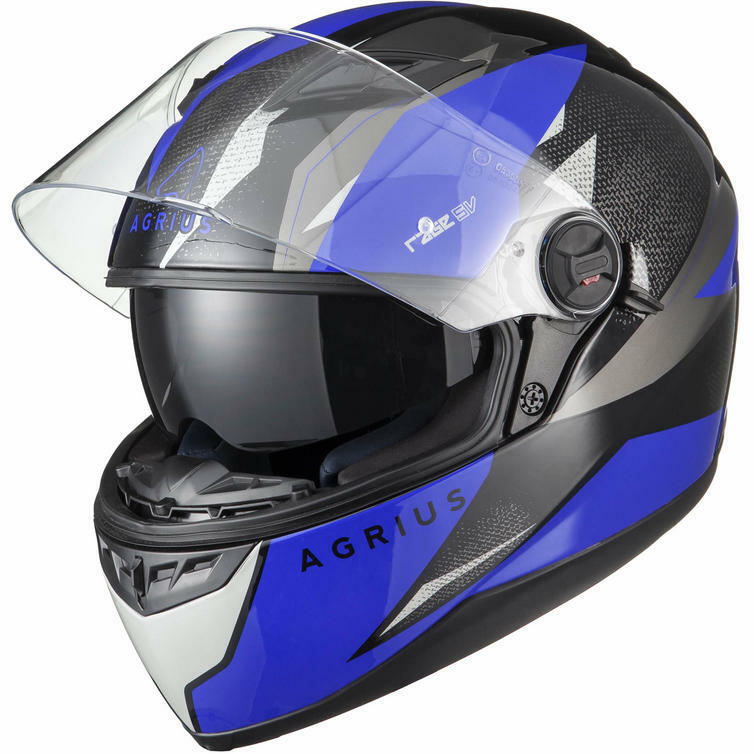 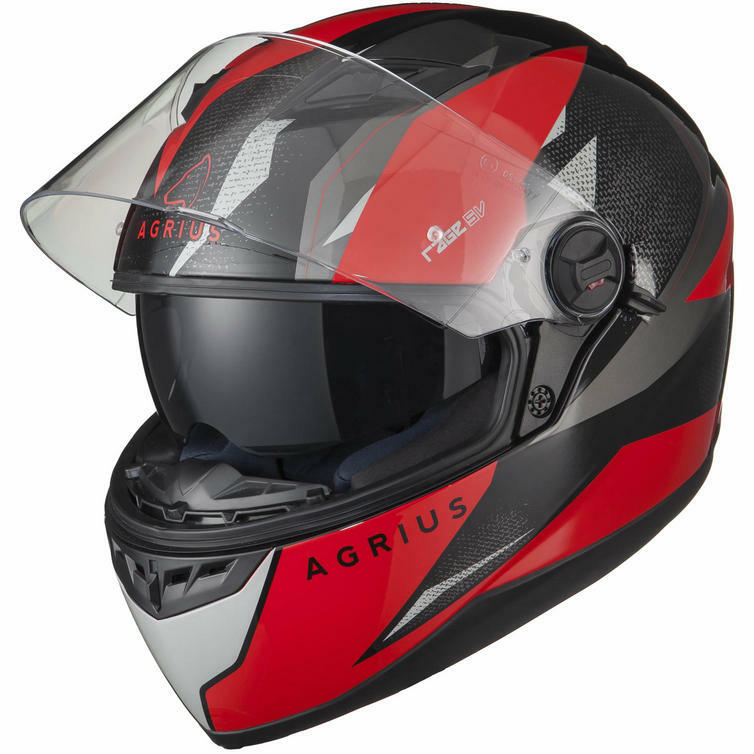 The Agrius Rage SV Fusion Motorcycle Helmet & Visor are part of the latest Agrius collection. 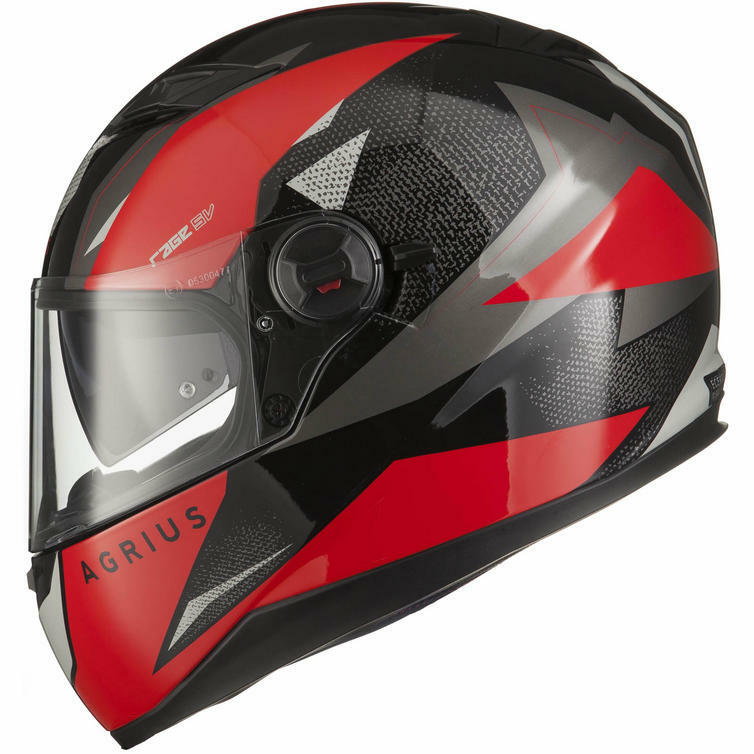 The Agrius Rage SV Fusion Helmet is the latest graphic to be added to the Rage SV range of helmets. This stunning Asymmetrical Graphic Design is available in four colours that really make this helmet stand out. 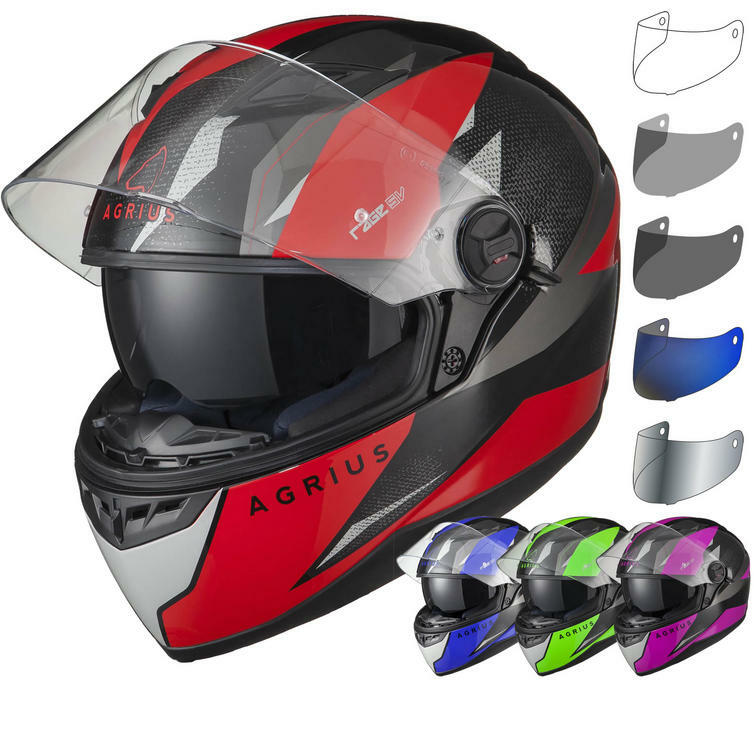 Add the fully removable liner, Pinlock ready visor and 5 point ventilation system help along with the easy to use internal drop down sun visor and you have everything you need! 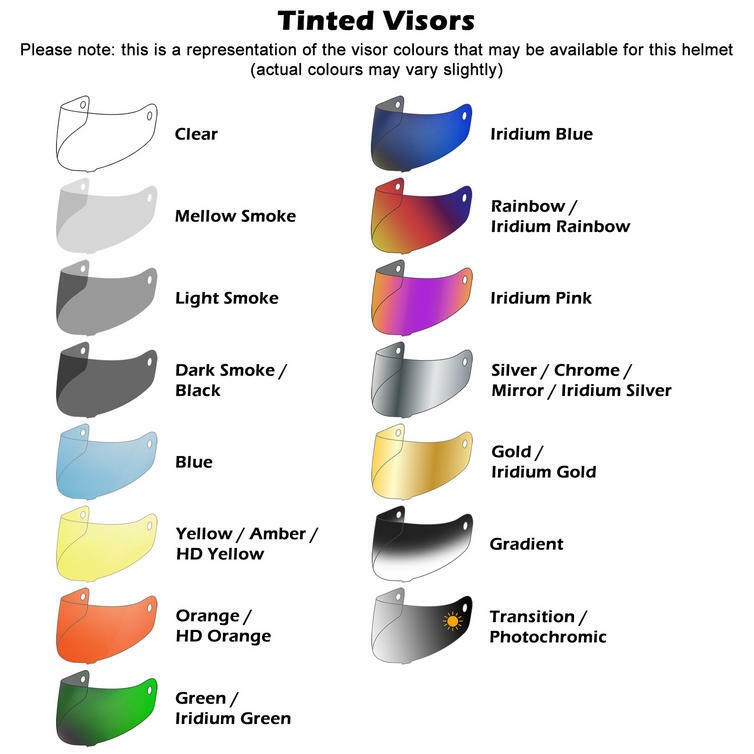 SPECIAL OFFER: Optional additional visor in your chosen colour at 30% off the usual price!